Curio talinoides var. 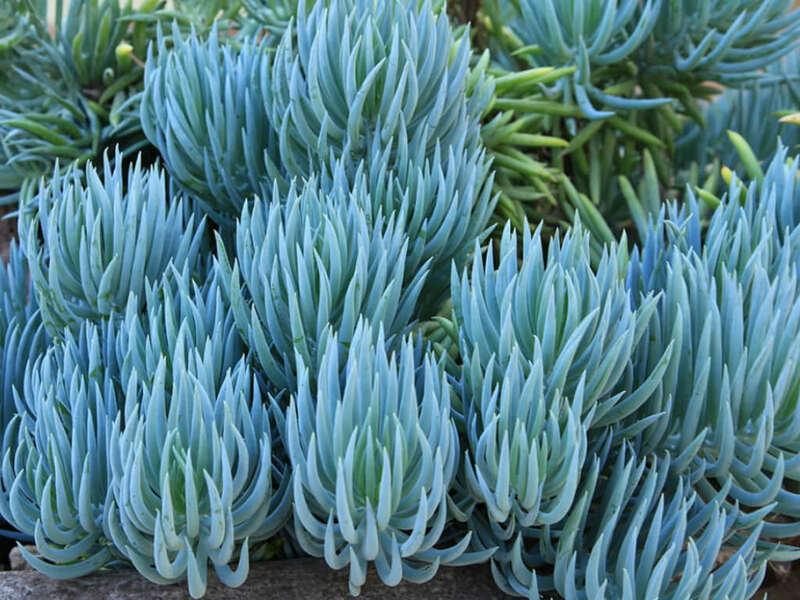 mandraliscae is a spreading succulent up to 18 inches (45 cm) tall, with 3 to 4 inch long blue gray pencil-like fleshy leaves. It forms a dense mat with leaves angled upward from the ground. Flowers are small rayless dull white and bloom in summer. 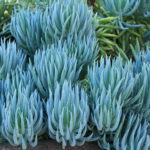 Established plants are extremely drought tolerant. They do need some water, during the summer, but do not leave the soil wet for prolonged periods. Allow the soil to dry out between waterings in the winter, when they are somewhat dormant. Since they are growing in sandy soil, nutrients will need to be replenished. Fertilize annually, but lightly. Too much fertilizer will cause a lot of leggy growth. Taller varieties can get floppy. You can prune them back to where the stem is firm, in very early spring. You can even root the cuttings. 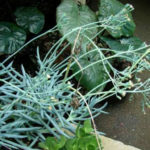 Plants can be divided or repotted in early spring. If you are growing them in containers, they enjoy spending the summer outdoors. 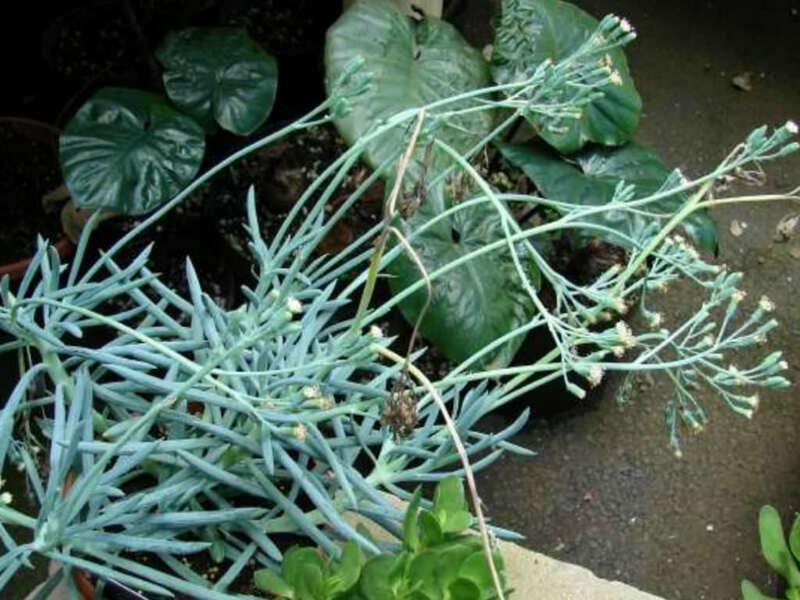 Wait until there is no danger of frost and move them back indoors in the fall. 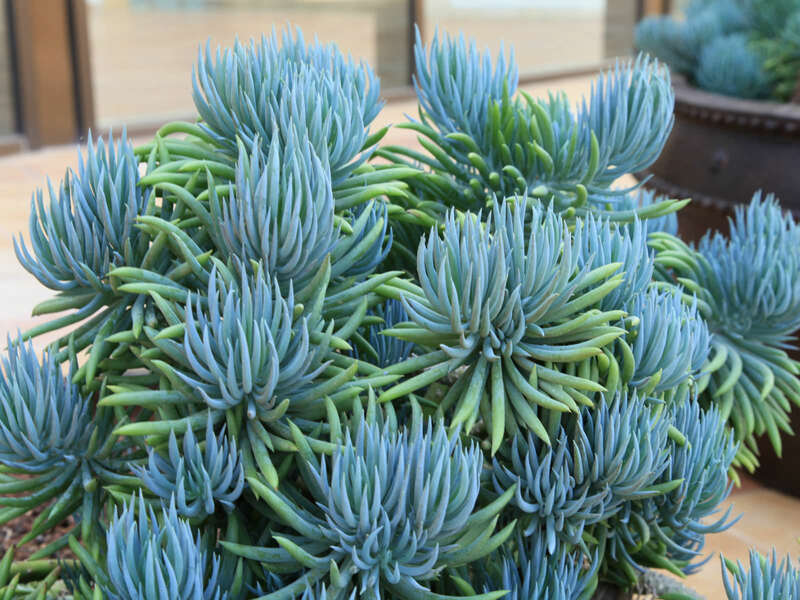 Senecio can be grown from either seed or cuttings. Seeds prefer warm temperatures (55˚F / 13˚C). And constant moisture to germinate. Cuttings are easier and faster. Cut during the growing season, early spring to fall. Root in sandy soil, in containers… – See more at: How to Grow and Care for Senecio.